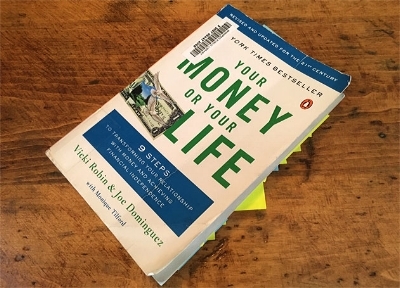 Book Review: "Your Money or Your Life"
Want to know what Free to Pursue thinks about Vicki Robin and Joe Dominguez's book "Your Money or Your Life"? Vicki and Joe invite us to rethink how we invest our time and our money in this powerful and transformative book. Where We've Been: Gaining an understanding of how much money we've spent in our lifetimes and evaluating our return thus far in the form of life satisfaction. Where We Are: Evaluating the magnitude and quality of our current spending to determine whether we’re maximizing how we use our life energy (0ur most precious resource). Where We're Going: Measuring our self-sufficiency by tracking our progress toward financial independence and beyond. If you want to stop having to work for “The Man” sooner than later, YMOYL is a must read. It’s a powerful book and should be part of every person’s lifetime curriculum.